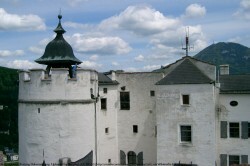 The Hohensalzburg Castle from the inside. 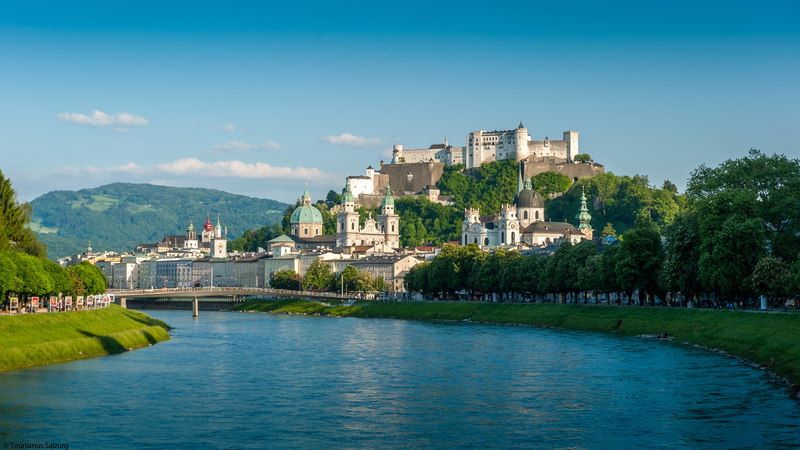 On the Sound of Salzburg Walking Tour, the group gets to see all the exciting things the city has to offer. From Sound of Music places to old churches and even Mozart’s famous birthplace. But during the tour, the crowd is accompanied by one special appearance that seems to be omnipresent. It is one of the most staggering sights in Salzburg: the Hohensalzburg Castle. 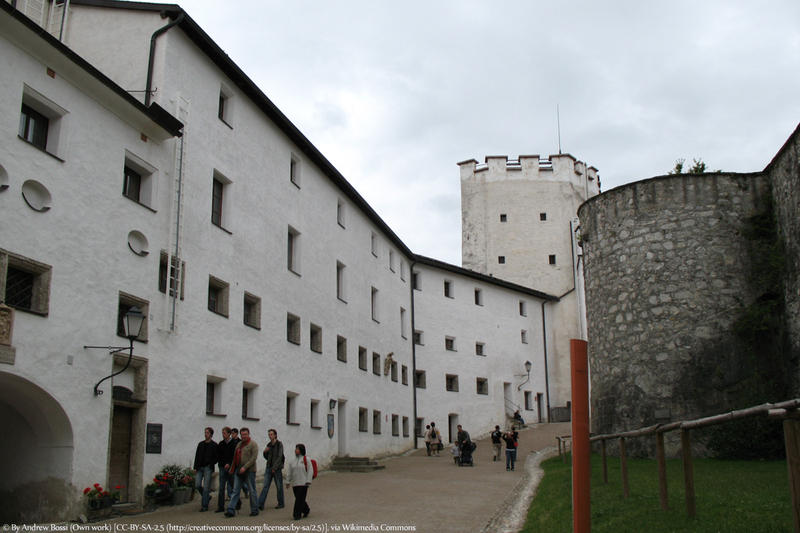 With its mighty presence on top of the “Festungsberg” mountain, the old castle really is one of the “Must-Sees” on a Salzburg holiday. 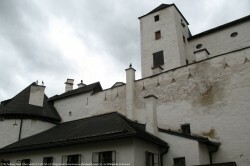 THe oldest parts of the castle are still standing. The history of the Hohensalzburg Castle starts in the year 1077, when arcbishop Gebhard I. von Helffenstein ordered the construction of the first tower (which is still there today), so he could live there. When Gebhard hat to flee for political reasons, emperor Heinrich IV. took over. The tower was eventually finished under the rule of arcbishop Konrad von Abensberg. The gigantic scale, the castle has today, was accomplished by improvements throughout the centuries, with the last one in 1681. 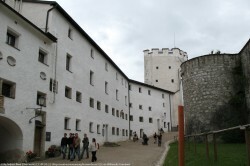 Castle Hohensalzburg is Europe’s biggest complete fortress. There are many guided tours one can take through the castle. Explorers use the audioguide to investigate the depths of the castle on their own. Even more ancient history lies in the chambers of the museum. With an art gallery as well as old weapons and armors the museum is a very good place to get the impression of how life could have been some hundreds of years ago. The special programmes (particularly in summer) are also a reason to climb the small mountain, or simply get in the convenient castle lift, that gets you right to the top. Organ Sound at 7 a.m., 11 a.m. and 6 p.m. Tip: Make sure to stop by at the restaurant and make your own personal time travel. May – September 9.00 am – 7.00 p.m.